In order to function properly and efficiently, HVAC repair by a licensed HVAC specialist is necessary. Through regular maintenance and quality installation, most homeowners can expect their AC unit lifespan to last up to 15 years. At Bill Howe Heating & Air Conditioning, we have seen units well over 25 years being replaced for more efficient units. However, even the highest quality system kept in excellent working order will eventually require replacement. The modern air conditioning unit that homeowners enjoy today came about as a happy by-product of an invention to reduce humidity in the air for a Brooklyn lithograph and publishing company in 1902. Willis Carrier developed a system to help Sackett-Wilhelm’s Lithographing & Publishing Company reduce waste in their business due to high temperatures and humidity in the brutal New York summers. Carrier’s invention removed humidity in the air, but it was discovered that by doing so, the air was also cooled. It would be many more years before air conditioning units became household products — products which Carrier still makes today. 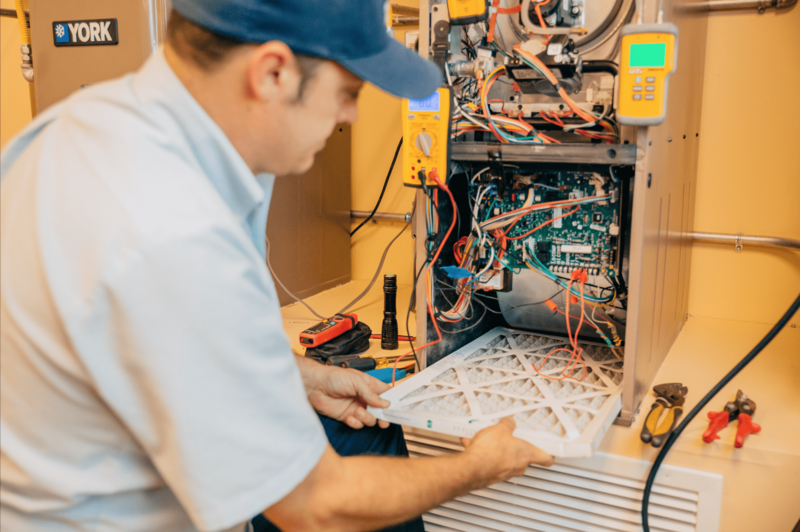 Understanding how air conditioner units work can help homeowners take the right care of their systems, allowing peace of mind in knowing how long their air conditioning unit will, or should, last. Air conditioning units have a few major components that make them work; the condenser, compressor, and evaporator. The air conditioning condenser unit is located on the outside of the home and houses the compressor, outdoor coils, and fan. The compressor takes the refrigerant liquid and changes it into a compressed gas by pumping into the air handler (typically located in the attic). Warm air inside of the home is pulled up through the return register (typically the largest vent in the home) and blows the air across the evaporator coil. 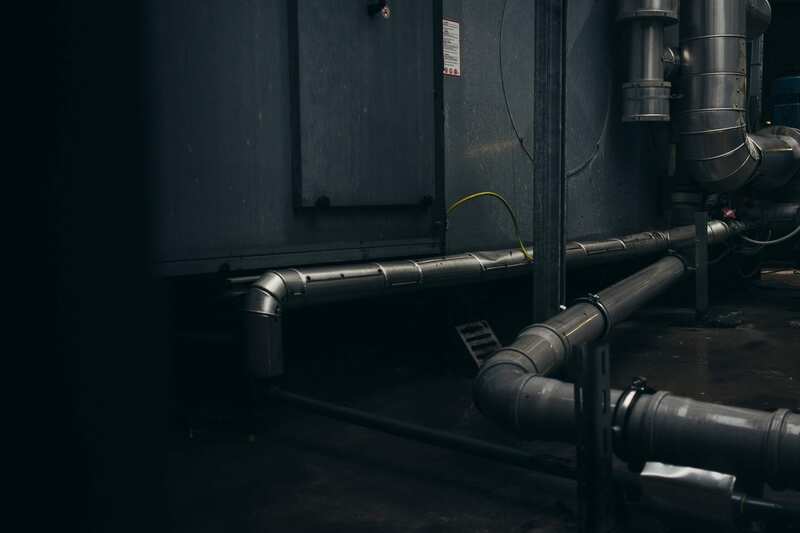 An air handler houses the evaporator coil — the second key component of the air conditioning system. The cooled refrigerant from the compressor acts to absorb the warm air pulled in from the return and blower motor and is pushed out through the supply registers. Supply registers are typically located throughout the home high on the walls, ceilings, and sometimes in the floors depending on how the ducting system is set up. The outdoor coils and fans in the condenser unit take warmed refrigerant once it has passed through the air handler and pushes the heat out into the outside air. The thermostat is the device that tells the system to work. Homeowners can set the desired temperature at the thermostat to kick on the mechanical system, and components begin working. Homeowners are sometimes unaware that an air conditioning system does not necessarily “cool” the air, and so setting the thermostat at significantly cooler temperatures does not guarantee the home will reach those temperatures. Most air conditioning units work at approximately a 20 degree split from outside air coming into return air coming out of the vents. If the home is 85 degrees, the air coming out of the vents should achieve approximately 65 degrees. When the home is warmer, the air conditioning system has to work extra hard to remove the warm air. Most HVAC specialists recommend installing and setting a programmable thermostat to keep temperatures at the desirable range between 75-78 degrees. How long an air conditioning unit will last will depend heavily on how hard the unit works and for how long. 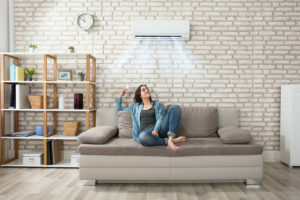 By maintaining a perfect temperature instead of turning the unit on and off and trying to “cool” the air, homeowners can extend the life expectancy of their system. HVAC contactors and capacitors are part of the electrical system and commonly fail due to many reasons including shorts, rodents chewing through wires, and overheating. Luckily, these are some of the easier repairs and do not indicate system failure. When the compressor fails, it can be very expensive to fix. The compressor is much like the engine of a vehicle. When the compressor reaches about 6 or seven years old, repair is typically not recommended. Once the compressor is out of warranty, repairing may only be a temporary solution, requiring more repairs further down and eventually replacement. A system that is not maintained can become dirty, and dirt and debris will build up over time. This can cause many components to fail, as well as decreasing the inefficiency of the system. During a regular maintenance, air conditioning specialists will ensure that all components are cleaned and checked. Manufacturers require maintenance on all systems to keep warranties intact. Regular maintenance can also help identify possible issues that can save homeowners larger AC repair costs in the future and extend the life span of the system. 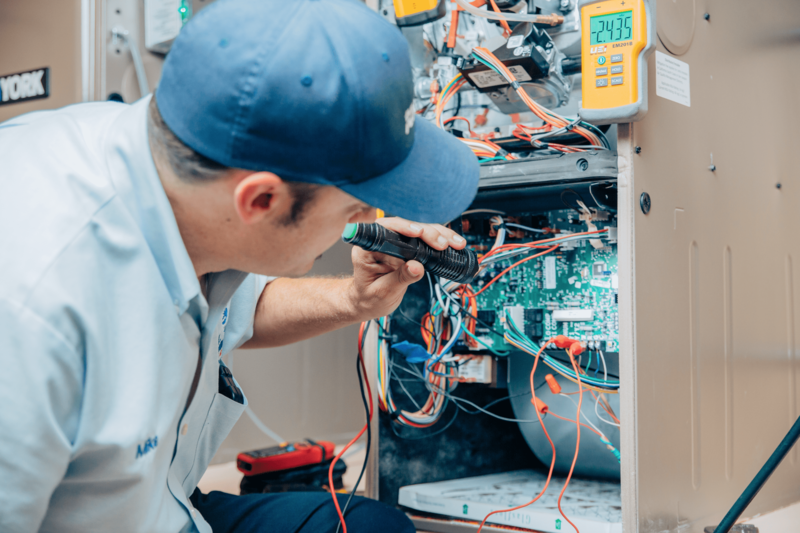 During annual preventative maintenance, once in the spring for air conditioning units and once in the fall for furnaces, specialists will perform safety checks and go through the system to clean and check the efficiency. Specialists will also check wiring, ducting, and perform safety checks, as furnaces can produce carbon monoxide if they are not installed or working properly. The unit still uses the old R-22 refrigerant. Air conditioning refrigerant has undergone many changes over the years, and the once popular R-22 has been phased out. 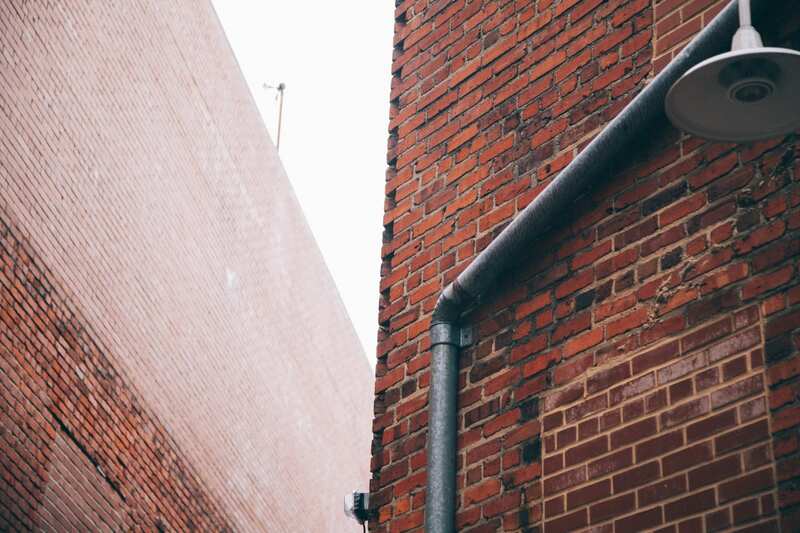 If homeowners have a system that still uses R-22, replacement is imminent and homeowners should consider getting an estimate for a new efficient system. Repairs are expensive. If a component, such as the compressor fails, and the repair cost is expensive, it might be a good time to consider replacement. Most newer a/c units may encounter issues, but repairs are typically affordable. When large components start failing, it is a possible sign that the air conditioning unit is not going to last. Inefficient cooling. If the air conditioning unit is not efficiently cooling or controlling the temperature in the home, it is time to take a look at the system and consider replacement. Most often, when the system begins to break down, homeowners will notice inconsistencies in air temperature and cooling unit capabilities. High energy costs. Let’s face it, air conditioning is great, but energy bills are not. Since the first residential system was installed, manufacturers have made thousands of improvements to the energy efficiency of conditioning the air in your home. If the air conditioner unit is costing more each year, it may be outdated and inefficient and time to consider replacement. Replacing an air conditioning system due to failure or inefficiency is a big investment, but the process should never be difficult. In San Diego, heating & air conditioning specialists typically offer incentives for looking at a replacement in the pre-season months before summer. Since San Diego has near perfect weather, springtime is the easiest to schedule maintenance and new system estimates, and often companies can turn around and install new systems quickly. Things homeowners should consider when gathering estimates for a new air conditioning system. Get multiple estimates. Homeowners should get multiple estimates for such a large purchase and investment as the air conditioning going into their home. Review estimates. Homeowners should make sure that when reviewing estimates, they are researching the manufacturers recommendations and looking at all of the options presented. Most air conditioning specialists will provide several quotes tailored to budget and home air comfort needs. Choose a reputable, licensed company. Any specialist you choose should have at least 5-10 years of solid business with a good reputation and many more years of experience within the company. Make sure the installation crew is experienced and certified. Not all estimates are the same, and products being used are not as important as the installation process. Do not pay for an estimate. All new installation estimates should be free for homeowners. If a company requires a deposit or fee to visit your home, move on as other reputable companies be happy to provide an estimate. Spend time with the estimator. A good home comfort advisor will spend at least an hour with the homeowner. It is important to understand the home and needs of the family to provide the right equipment, size, configuration, and products. Spend time and ask questions. If you are not sure how long your air conditioning unit should last and are considering a replacement, consider the experts at Bill Howe Heating & Air Conditioning. With free estimates, certified and trained technicians, and over 40 years of experience, Bill Howe has all of the expertise you need. Call 1-800 BILL HOWE (245-5469) for your free estimate today.